Topaz and citrine share the spotlight as the official birthstones for the month of November. 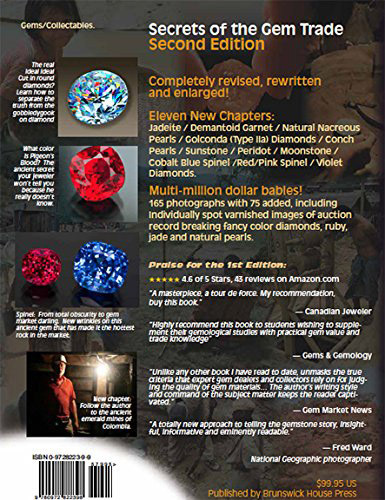 And perhaps nowhere in the world can you see bigger and more magnificent examples of these gem varieties than at the Perot Museum of Nature and Science in Dallas. You thought we were going to say "the Smithsonian in Washington, D.C.," but here's the catch. 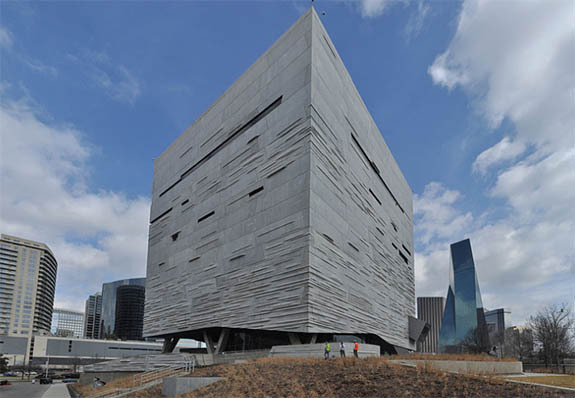 The Smithsonian has loaned 29 of its biggest faceted gems to the Perot Museum for a limited showing that runs through January 17, 2017. 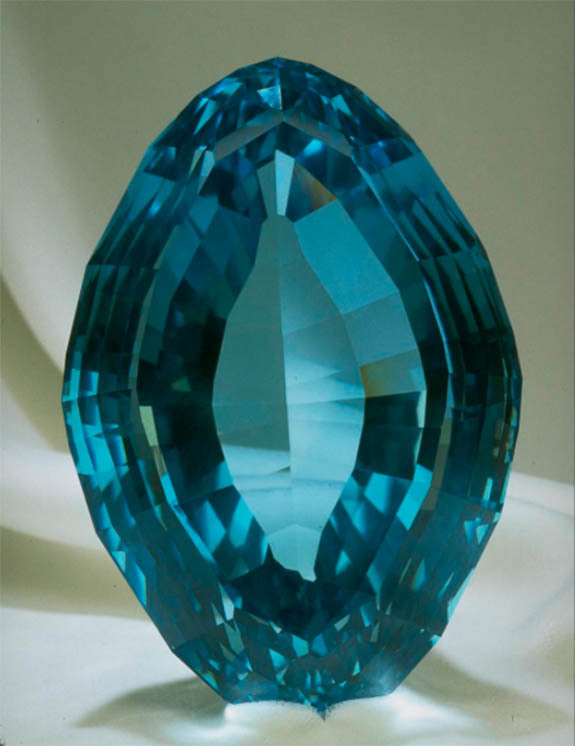 Among the specimens headlining the “Giant Gems of the Smithsonian” exhibition is the famous 22,892-carat American Golden topaz, a 19,747-carat smoky citrine and a football-shaped 7,033-carat irradiated blue topaz. The American Golden Topaz is the third-largest faceted gemstone in the world. 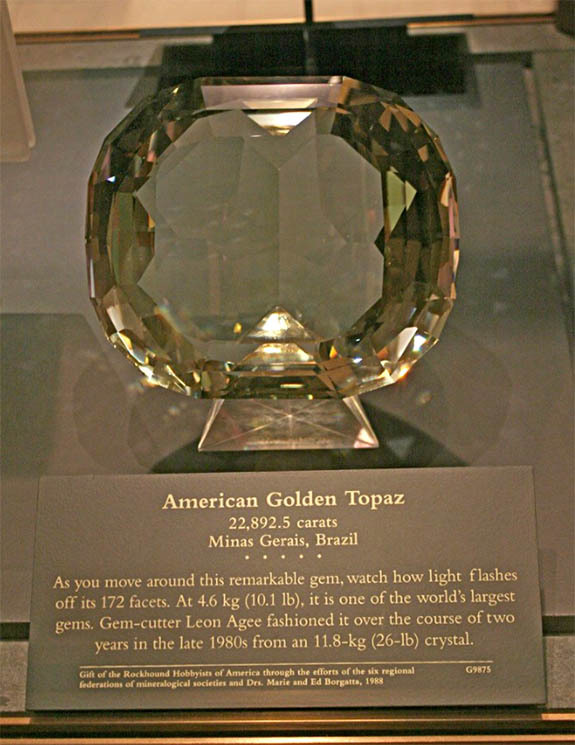 Sourced in Minas Gerais, Brazil, and tipping the scales at a whopping 10.1 pounds, the American Golden Topaz was cut by Leon Agee over a period of two years in the late 1980s from a 26-pound stream-rounded cobble owned by Drs. Marie L. and Edgar F. Borgatta. 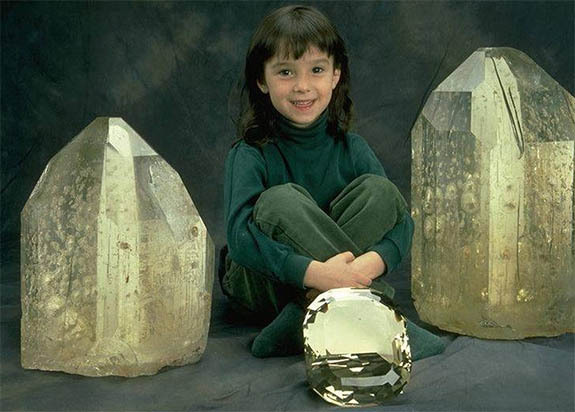 In the top photo, the faceted gem sits in the foreground while two other natural topaz crystals are nearly the size of the seated young girl. They weigh 70 pounds and 111 pounds, respectively, but are not part of the Perot exhibit. 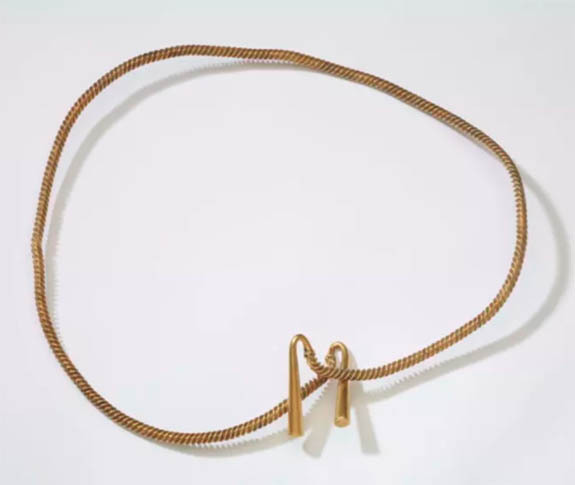 Sourced in Bahia, Brazil, the modified marquise-shaped smoky citrine was faceted in 1987 by Michael Gray and acquired by the Smithsonian in 2013. 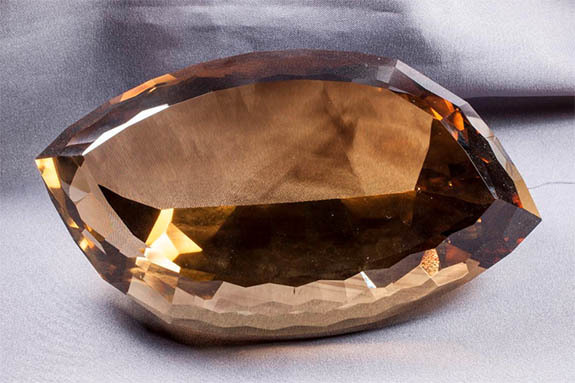 At 8.7 pounds, it's the largest smoky citrine in the National Gem Collection. It's a common jewelry industry practice to irradiate pale-colored topaz, which becomes a brilliant blue after the process. 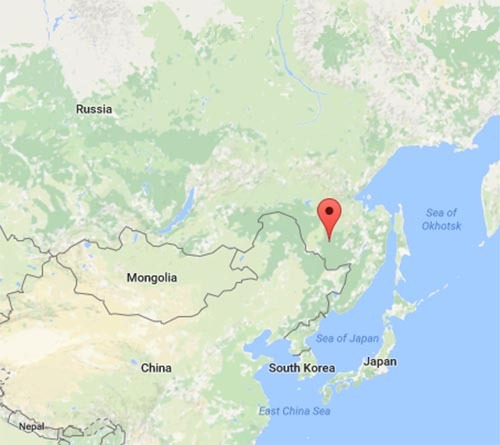 The football-shaped gem you see here likely started out as colorless or pale yellow-brown, according to the Smithsonian. 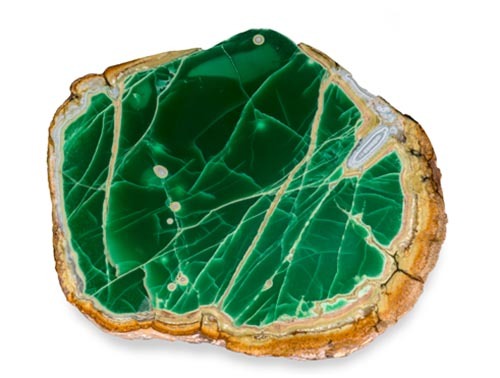 Discovered in Ouro Preto, Brazil, the 3.1-pound gem was gifted to the Smithsonian in 1981. 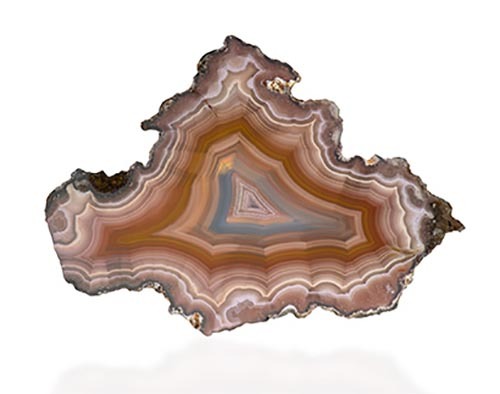 “Giant Gems of the Smithsonian” is making its temporary residence at the Lyda Hill Gems and Minerals Hall, which is one of the Perot Museum's most popular exhibits. 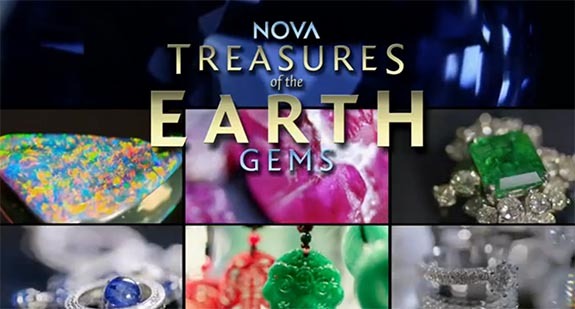 Tonight, PBS will broadcast the first of an epic three-part NOVA series called "Treasures of the Earth: Gems, Metals, and Power." 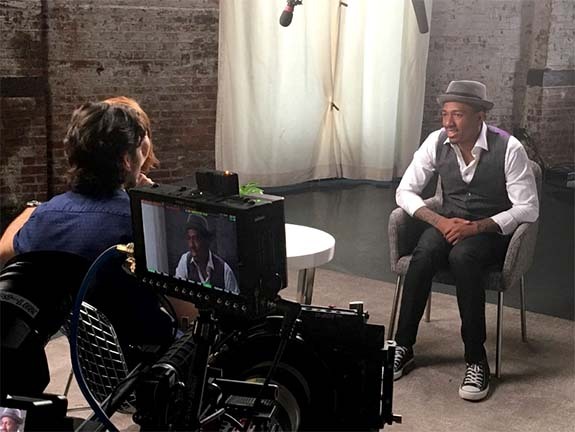 The 60-minute shows will take us on a stunning journey deep within the earth to discover the incredible forces of nature that forge gemstones, precious metals and other valuable resources. "Our earth is a master chef," says geologist Lung Chan in the first episode. "She knows how to cook." 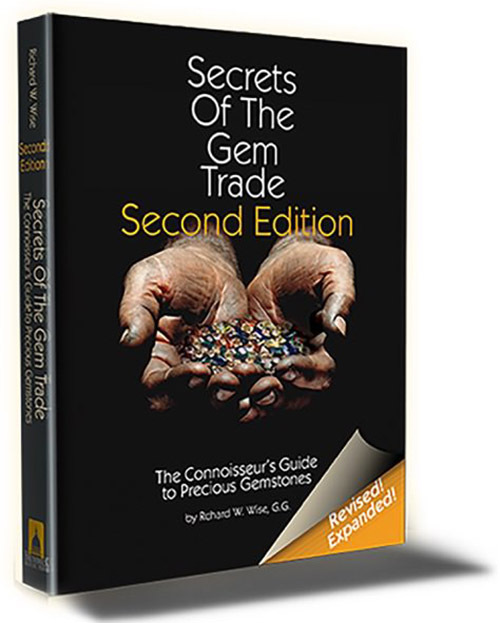 In the first hour, subtitled "Gems," NOVA literally crisscrosses the globe to get an insider's view of the gem trade— from the workshop of an iconic luxury jeweler in New York City to a sapphire mine of Sri Lanka, from North Carolina's emerald fields to the jade-laden Forbidden City of China. 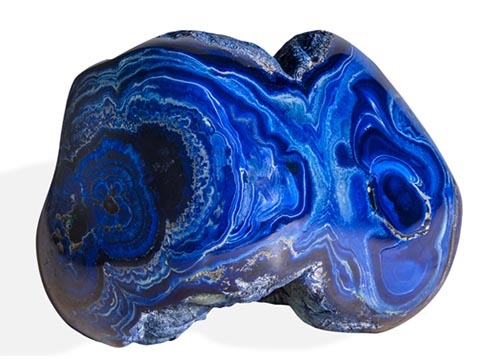 Not only does NOVA cover the beauty, value and intrigue behind these exquisite treasures, but also delves into the amazing role these gemstones play in helping geologists unravel the mysteries of plate tectonics. NOVA will also explore the riches that may have originated in space. 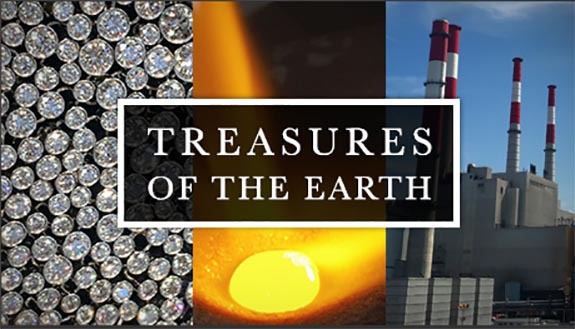 "Treasures of the Earth: Gems, Metals, and Power" will air on November 2, 9 and 16. 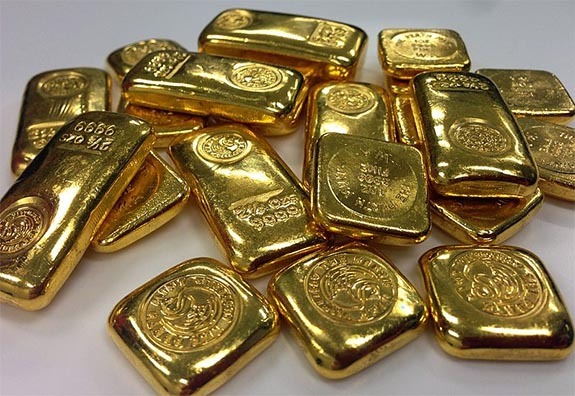 The second episode will cover precious metals and the third episode with tackle the subject of power as it relates to the control of natural resources. In "Metals," NOVA will look at the astounding properties that have made them the pillars of human civilization. 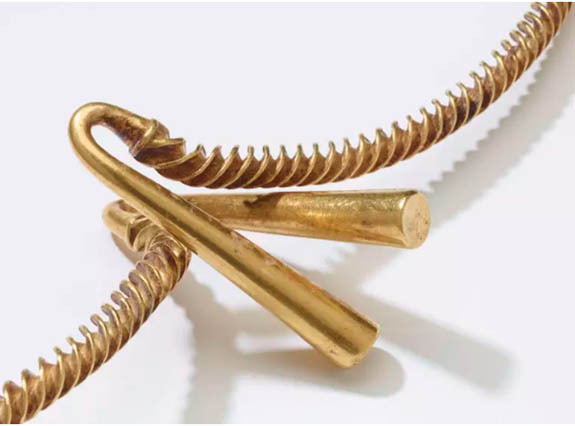 From the enduring luster of gold, to the conductivity of copper and the strength of steel, metals have reshaped societies and defined eras, according to NOVA. 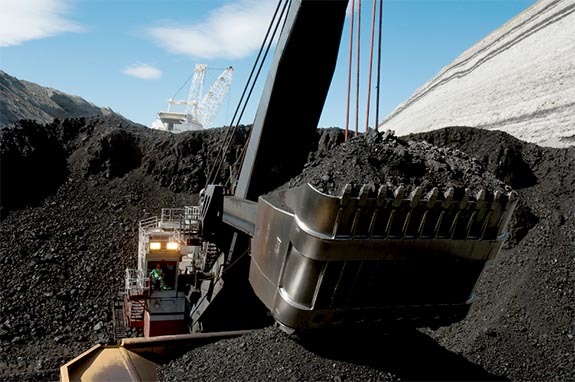 In the third segment, "Power," the viewer will learn the energy secrets locked in the molecules of natural resources, such as coal, oil and natural gas. NOVA will also look at climate change and the hunt for cleaner forms of energy. 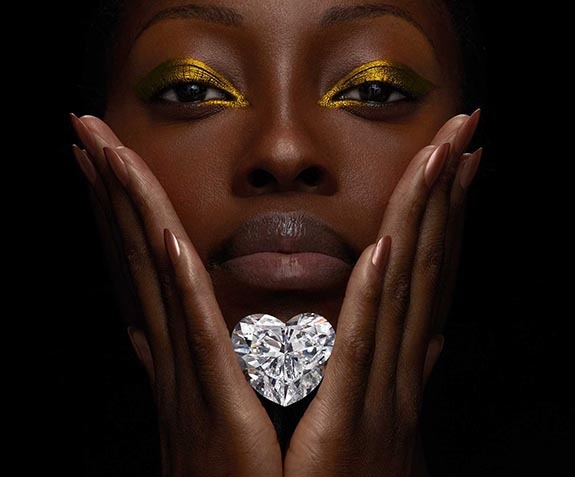 Laurence Graff, the billionaire jeweler whose name is attached to some of the most famous diamonds in the world, has introduced the Graff Venus, the world's largest D-flawless heart-shaped diamond. About the size of a walnut and weighing 118.78-carats, the Graff Venus was painstakingly extracted from a 357-carat rough diamond that was sourced last year at the Letšeng Mine in Lesotho. Heart-shaped diamonds are generally a high-risk proposition for cutters because the unusual shape is prone to cracking during the cleaving and polishing process. Graff's risk was multiplied many times due to the enormous size and value of the stone. The process took 18 months, during which Graff and his team analyzed every excruciating detail of the rough stone. They even had to develop special tools to cut the stone. The computer-generated illustration shows how the heart-shaped diamond (dark blue outline) was segmented from the rest of the original rough. 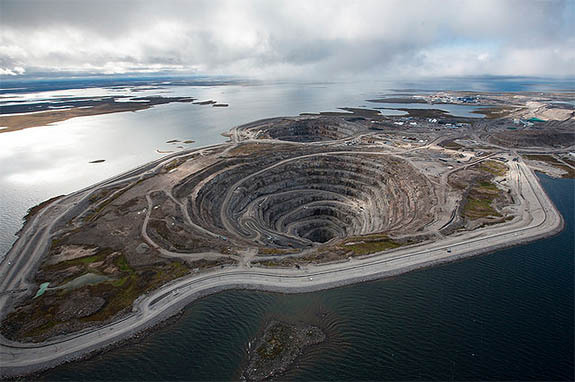 Twenty-two additional diamonds were culled from the same piece. 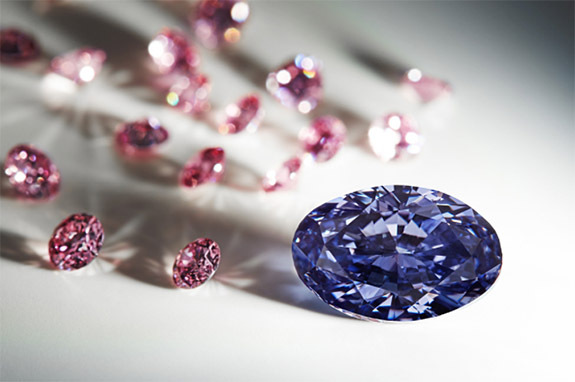 The London-based chairman of Graff Diamonds — whose diamond collection includes the 24.78-carat Graff Pink, 102.79-carat Graff Constellation and the 31.06-carat Wittelsbach-Graff — couldn't be more proud of his latest creation, calling it "absolute perfection." The Gemological Institute of America agreed by awarding its highest grades to the Graff Venus. The stone was rated D-color, flawless, Type IIa with excellent polish and symmetry. 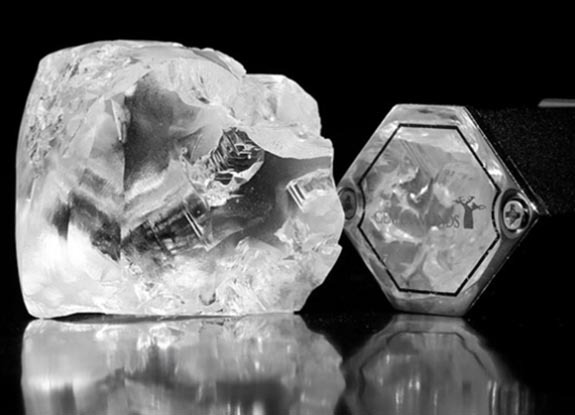 Type IIa diamonds are almost or entirely devoid of impurities. The Graff marketing team believes the diamond will eventually be incorporated into a pendant, brooch or tiara. According to the Robb Report, Graff has had a role in cutting and polishing more than half of the 20 most exceptional diamonds discovered during the past century. The Letšeng mine, which sits at an altitude of 10,000 feet in the tiny kingdom of Lesotho near the southern tip of Africa, has a long history of producing top-quality diamonds in huge sizes. 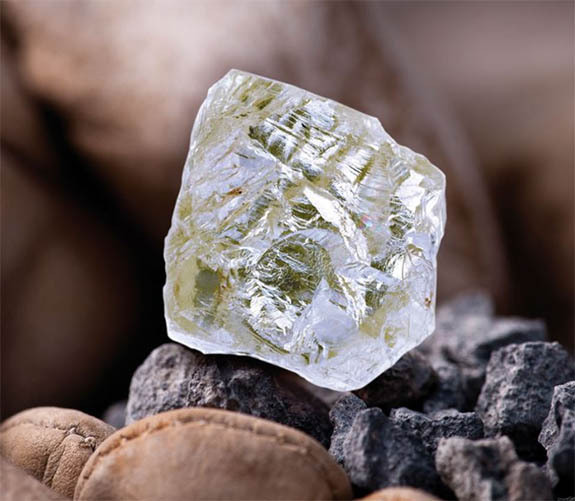 The 357-carat rough diamond from which the Graff Venus was extracted had netted $19.3 million for Gem Diamonds in September of 2015. At the time, it was sold to a unnamed buyer. Credits: Graff Venus images courtesy of Graff Diamonds. Rough diamond courtesy of Gem Diamonds. Israeli high-tech company Sarine Technologies unveiled a revolutionary device that automatically grades the color and clarity of polished diamonds. The Ramat Gan-based company believes the new system will fundamentally change the grading and sorting process, bringing objective, measurable standards to a process that has been susceptible to human error and the subjectivity of appraisers. "Once again, Sarine introduces groundbreaking technological innovation into the global diamond industry," said Sarine CEO Uzi Levami in a statement. "Technological standardization translates into greater credibility for the industry and increased trust for the diamond consumer." 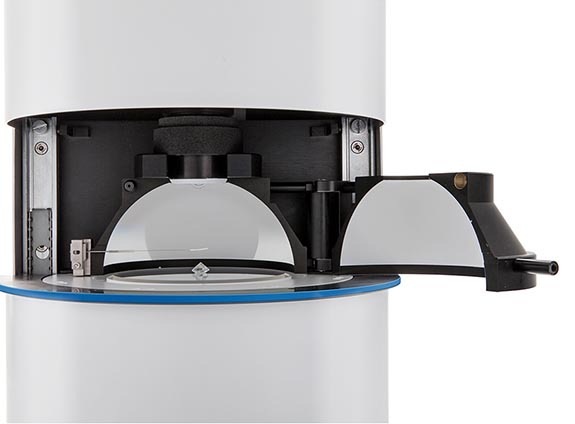 Sarine claims that the new Sarine Clarity™ product will offer definitive, science-based clarity grading and accurate mapping of inclusions and flaws. 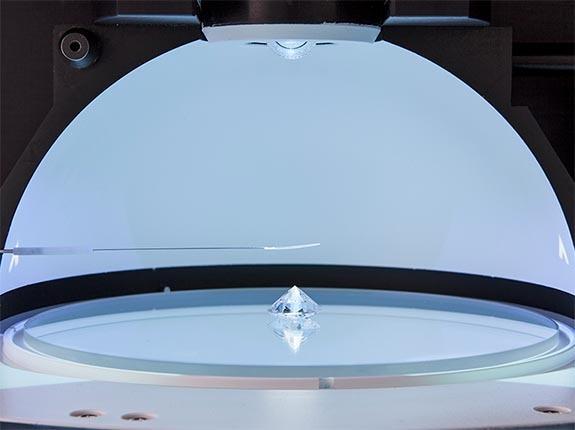 The system can accurate analyze diamonds from 2 points to 10 carats in size. Sarine Color™ delivers automated optic analysis of diamond color and precision grading based on global standards. The initial release of the color system can handle diamonds starting at 20 points in size. The company noted that future releases will accommodate a broader range of stone sizes, starting at 2 points. Sarine Clarity™ and Sarine Color™ are the results of the company's $10 million annual R&D expenditures. Both products are being testing in India and are expected to be ready for commercial release in the middle of 2017. The clarity and color components build on an existing Sarine technology, DiaMension™, which analyzes and grades a diamond's cut. Together, the three products solve the daunting challenge of quantifying the 4Cs of diamond grading — clarity, color, cut and carat weight. 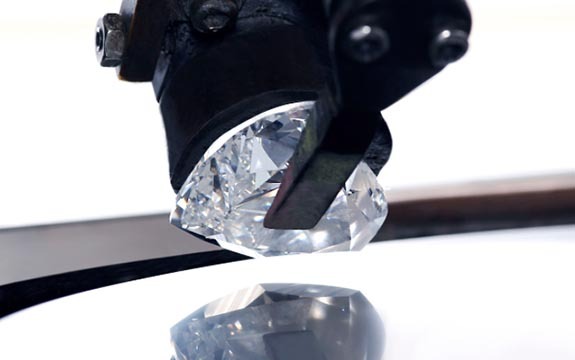 One critic of Sarine's new offerings told the Associated Press that humans are superior to machines when it comes to grading a diamond because of all the tiny details that need to be analyzed. "You need the brain of a person to identify what is more, what is better to see, what do you prefer to see," said Roland Lorie, chief executive of the International Gemological Institute. 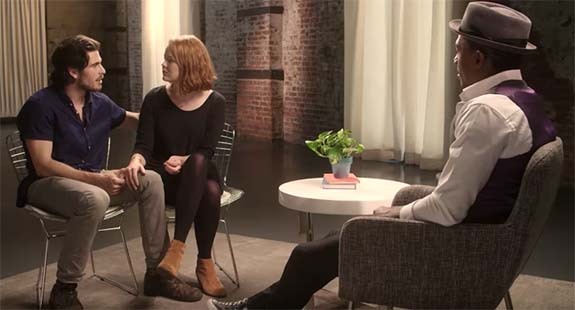 "I think it will take a long, long time for a machine to be able to replace a human being." Credits: Images courtesy of Sarine Technologies. "The Sky Blue Diamond" — the highly touted headliner of Sotheby's Magnificent Jewels and Noble Jewels sale — fetched $17.1 million in Geneva yesterday. The hammer price was in the lower range of the pre-sale estimate of $15 million to $25 million. 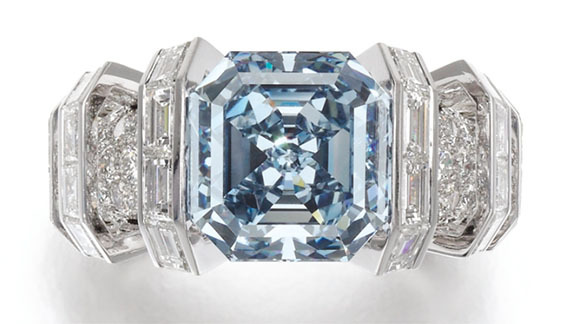 At $2.13 million per carat, the performance of the square-cut, 8.01-carat Sky Blue Diamond was lukewarm compared to other high-profile blue diamonds that have captivated gem lovers over the past year. “The Blue Moon of Josephine,” for example, established a new record for the highest price paid per carat for any gemstone when the hammer went down at Sotheby’s Geneva exactly 12 months ago. The internally flawless, 12.03-carat, cushion-shaped, fancy vivid blue diamond sold for $48.5 million, or $4.03 million per carat. In May of this year, “The Oppenheimer Blue” became the most expensive gem ever auctioned when it sold for $57.5 million at Christie’s Geneva. The fancy vivid blue, step-cut, rectangular-shaped diamond weighed 14.62 carats and earned a clarity rating of VVS1. Its price per carat was $3.96 million. 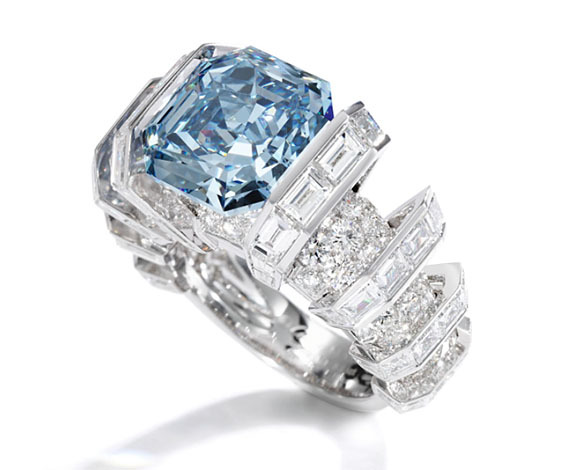 Sotheby's had high hopes for The Sky Blue Diamond due to its mesmerizing Fancy Vivid Blue color. Had it sold at the top of the estimated range, it would have yielded $3.12 million per carat and earned a place among the finest fancy vivid blue diamonds of all time. 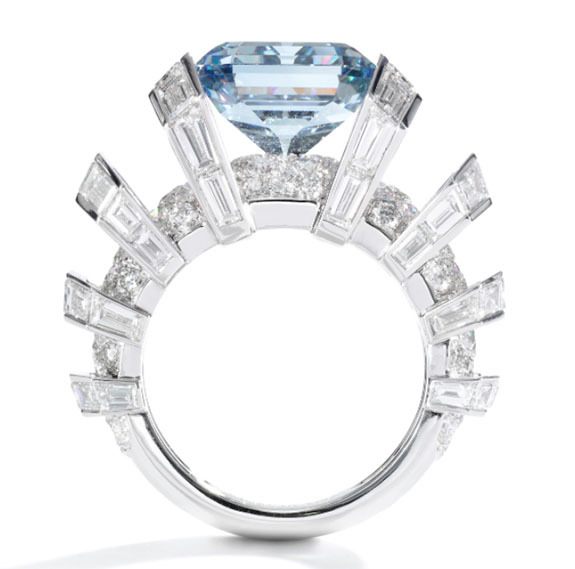 The Sky Blue Diamond, which has a clarity rating of VVS1 and a purity rating of Type IIb, is set in a ring by Cartier. The geometric design is accented with brilliant-cut and baguette diamonds. 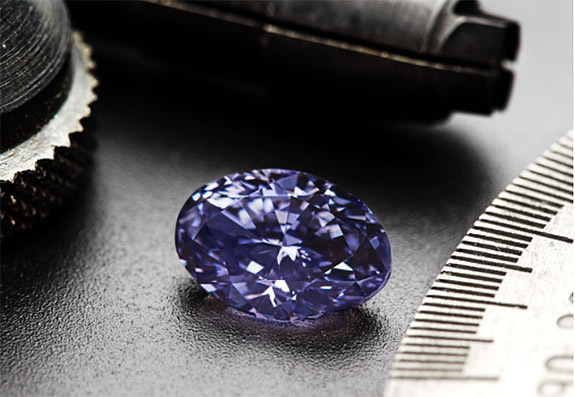 Its Fancy Vivid Blue designation by the Gemological Institute of America (GIA) is the highest possible color grading — a distinction awarded to fewer than 1% of all blue diamonds submitted to the GIA. Welcome to Music Friday when we bring you fabulous songs with jewelry, gemstones or precious metals in the title or lyrics. Today, 18-year-old Darby Walker — a self-styled hippy songstress — delivers an emotional, throwback interpretation of The Rolling Stones' classic hit, "Ruby Tuesday." The song is celebrating its 50th anniversary. 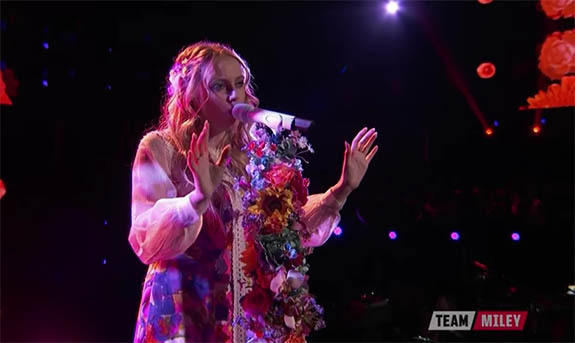 Walker, who is a Season 11 contestant on The Voice and a member of Team Miley, sang "Ruby Tuesday" in front of a live studio audience on Monday night and cemented her position among the top 11 finalists. The famous reprise goes like this... "Goodbye Ruby Tuesday / Who could hang a name on you? / When you change with every new day / Still I'm gonna miss you." Walker, who moved with her family from Atlanta to Los Angeles eight years ago so she could pursue a singing career, looks like she stepped out of 1960s time capsule. 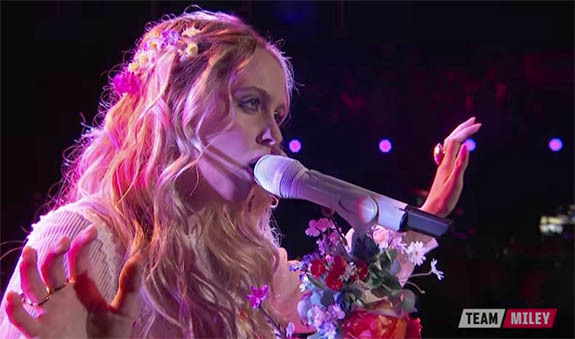 The hippy vibe permeates her "Ruby Tuesday" performance. Interestingly, The Rolling Stones recorded "Ruby Tuesday" exactly 50 years ago, in 1966. It was released in January of 1967 and immediately ascended to #1 on the U.S. Billboard Hot 100 chart. Rolling Stone magazine ranked the song #310 on its list of the 500 Greatest Songs of All Time. Ironically, the song was originally intended as the B side of “Let’s Spend The Night Together,” another Stones hit, but radio deejays at the time were uncomfortable with the adult theme of the A side, and chose to play the flip. Written by Keith Richards and Mick Jagger. Performed by Darby Walker. Last Monday, Long Island resident Colleen Dyckman woke up with a sickening feeling in her stomach that caused her heart to race. 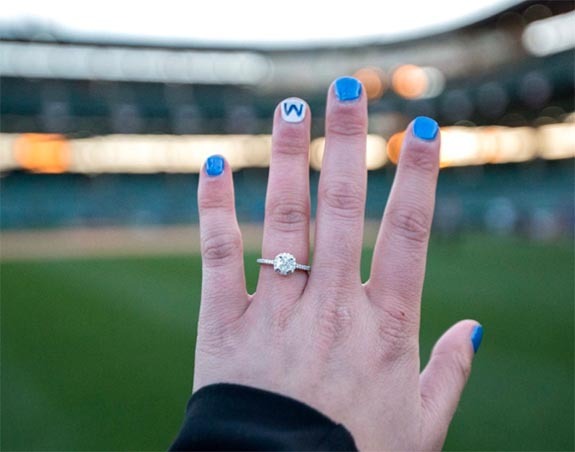 She couldn't find her diamond engagement and wedding rings and realized that she had accidentally tossed them into the kitchen trash bin while tidying up after the family's dinner the night before. 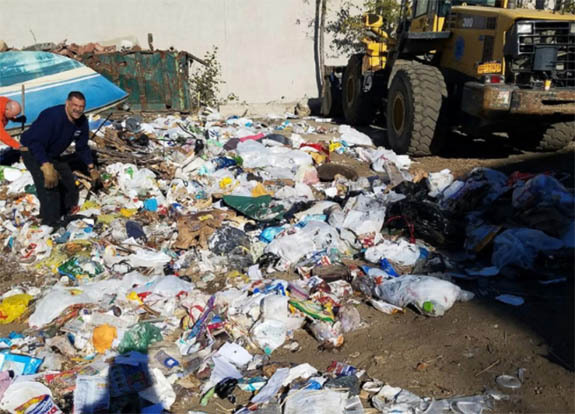 The Dyckman's trash had just been picked up that morning and was en route to the Babylon Town dump where it would be incinerated. Colleen and her husband, Ken, chased down the sanitation truck and told the driver that he likely had the valuable bridal jewelry in his load. 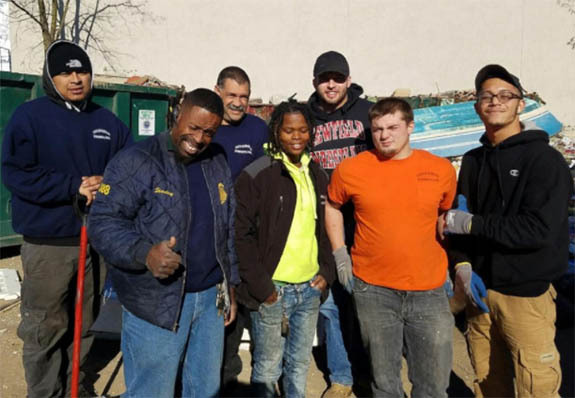 The driver called his crew leader, Edward Wiggins, who ordered that he take the truck immediately to a special area at the Town of Babylon's Recycling Center. 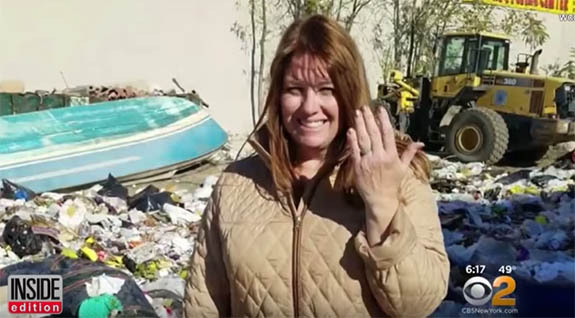 At the Recycling Center, six tons of smelly trash was dumped into an open area, where the Dyckmans proceeded to comb through a field of trash bags and rotting garbage in an attempt to rescue the rings. Also assisting in the search were eight Recycling Center employees, including Jeremy Aretakis. “She was visibly upset," Aretakis told CBS News. "She was ripping through garbage, disgusting stuff." For the next four hours, the Dyckmans and the Babylon crew worked relentlessly. 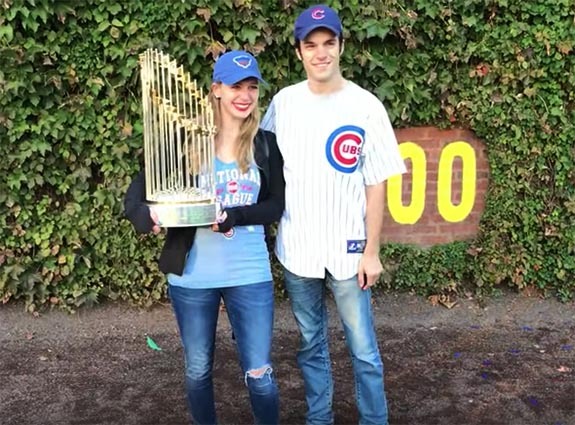 “She didn’t stop, so none of us stopped,” Aretakis said. When Ken Dyckman finally discovered the trash bag his wife threw away the night before, all the searchers were terribly disappointed when no rings emerged. But town employee Kim Weathers had a hunch and insisted on double-checking the bag. Sandwiched between slimy meat scraps and soggy cereal were Coleen Dyckman's rings, which were given to her by Ken nearly 20 years ago. 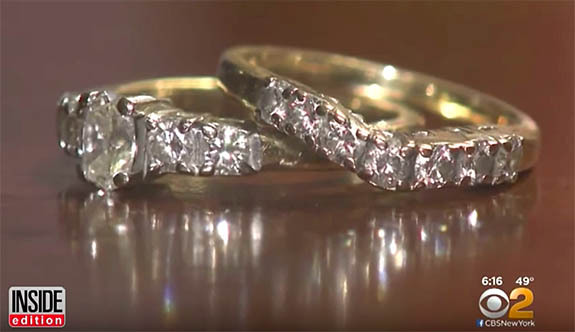 They were worth about $5,000, but carried a priceless sentimental value. 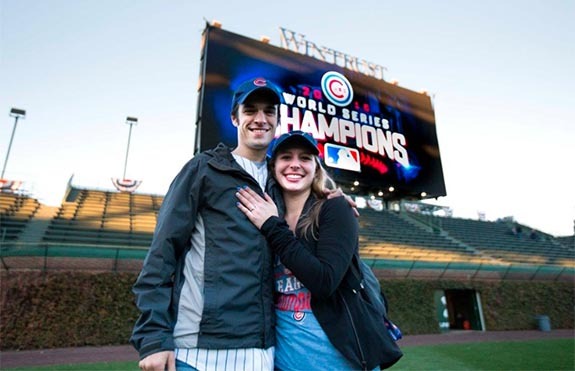 “I was saying to myself, ‘I hope I find these rings,’ so I’m happy I found them, I really am,” Weathers told CBS News. Colleen Dyckman was ecstatic. 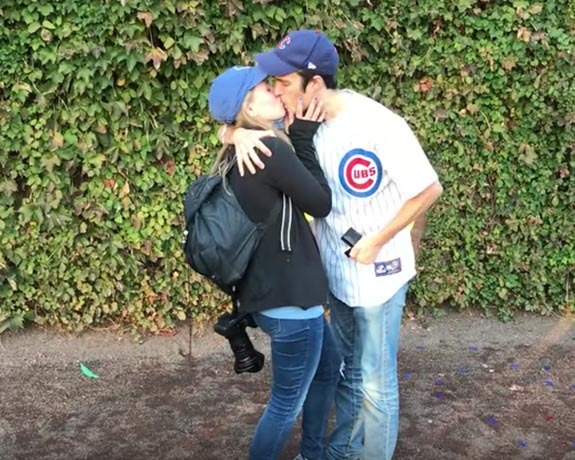 She wept tears of joy and hugged Weathers. Wiggins noted that although his team often gets requests from residents who want to search the trash because they believe they've thrown away something valuable, very rarely will something as small as a ring be recovered. 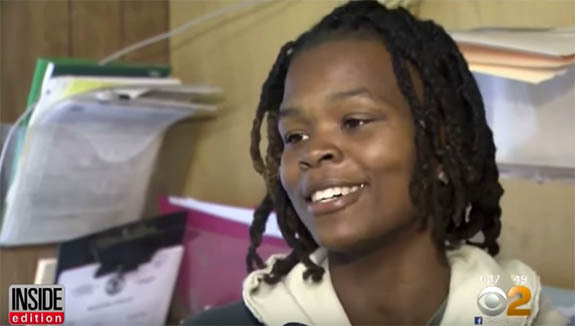 "We're really glad we were able to help her and get her rings back," Wiggins told ABC News. "To be honest, in the 41 years I've been here, we've only been able to successfully recover lost items three times." To show their appreciation, the Dyckmans returned the next day at lunchtime with pizza and homemade brownies for the crew. "I couldn't be more thankful to them," Dyckman said. "They never ever stopped looking." Credits: Screen captures via YouTube.com/Inside Edition. Imperfect diamonds could hold the key to the future of long-term, high-density data storage, according to a team of physicists from The City College of New York. Researchers claim that a diamond half as long as a grain of rice and thinner than a sheet of paper can hold 100 times more information than a DVD. In the future, a single diamond might have the storage capacity of one million DVDs. The team's findings were published recently in the journal Science Advances. 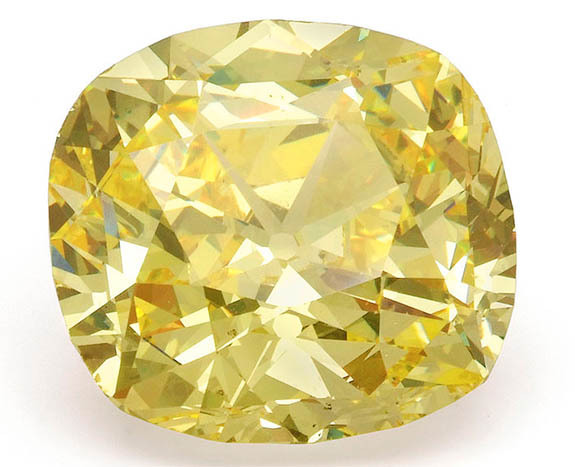 Highly coveted fancy yellow diamonds owe their color to the faint presence of nitrogen atoms in the diamond’s carbon structure. Interestingly, the same chemical imperfections that cause the diamond to be yellow, provide atomic-sized voids for the storage of data. Scientists call these imperfections "nitrogen vacancy centers." "We are the first group to demonstrate the possibility of using diamond as a platform for the superdense memory storage," lead author Siddharth Dhomkar, a physicist at The City College of New York, told Live Science. 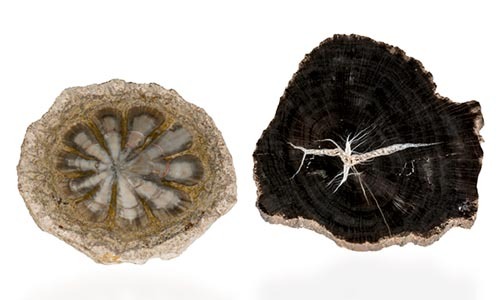 What's more, diamonds hold an advantage over traditional storage media because they are three dimensional and not susceptible to wear and tear. Data stored in a diamond could truly last forever. “A DVD is like a 2-D puzzle, and this diamond technique is like a 3-D model,” research participant and graduate student Jacob Henshaw told The New York Times. "Unlike the DVD, which has only one surface, a diamond can store data in multiple layers, like a whole stack of DVDs." 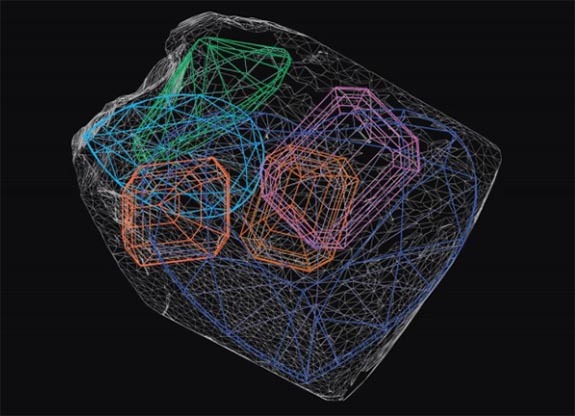 Researchers were able to use lasers to encode data into a diamond's imperfections. They added electrons by shining a green laser and deleted electrons by shining a red laser. The computer reads the presence or absence of electrons much like a traditional computer reads 0s and 1s. To illustrate the concept, researchers encoded images of Nobel Prize-winning physicists Albert Einstein and Erwin Schrödinger on a diamond by adding and removing electrons with green and red lasers. If this breakthrough technology takes off, diamonds coveted for data storage will be very different from the ones seen in jewelers' showcases. For data purposes, the more flaws, the better. “The bigger the diamond, the more defects, the more places to put information,” Henshaw told The Times. Credits: Yellow diamond by MJT Symbolic (Own work) CC BY-SA 4.0, via Wikimedia Commons. Laser-encoded diamond by Carlos A. Meriles and Siddharth Dhomkar. 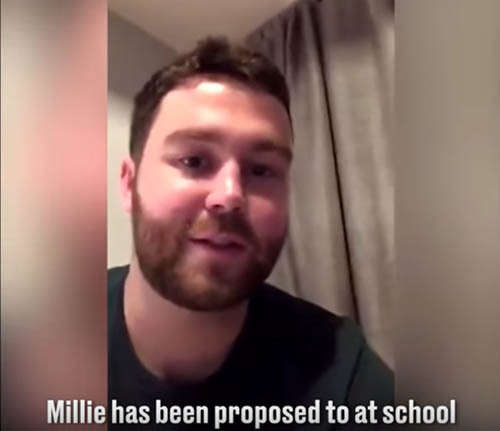 A grade-school suitor named Tommy and his sweetheart, Millie, became social media stars this week when the video recounting their playground proposal — and remarkable engagement ring — went viral. 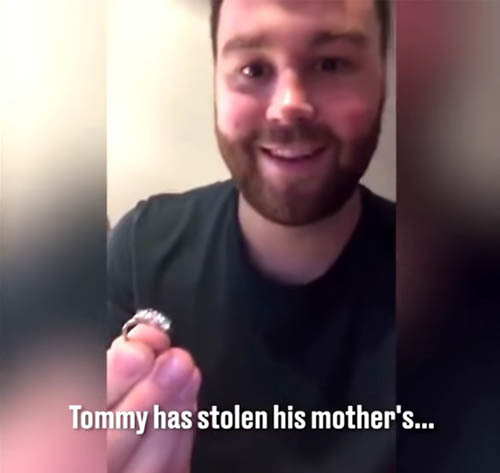 While the idea of a little boy proposing to his crush is adorable, Tommy's choice of ring is what made him an Internet star. 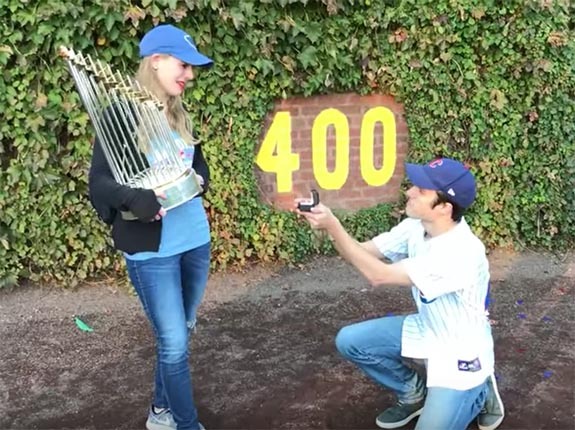 You see, instead of surprising Millie with a candy Ring Pop or Haribo Jelly Ring, young Tommy proposed with a very real engagement ring he stole from his mom. Millie's dad recounts the story in a 54-second Facebook video that has been viewed 24 million times, and counting. 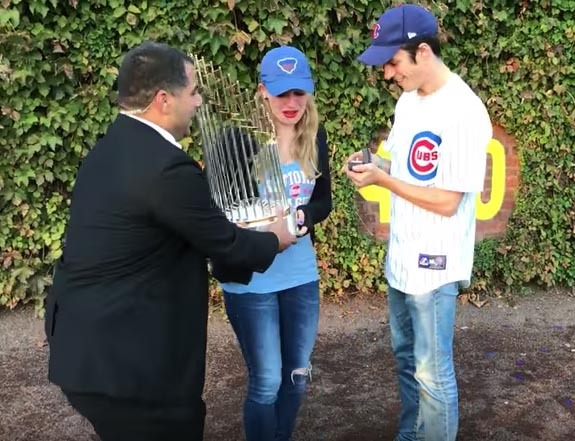 The video opens with the dad announcing that Millie has been proposed to at school. "Who proposed to you, Millie?" he coyly asks, as a woman (presumably Millie's mom) laughs uncontrollably in the background. At this point we see Millie for the the first time. The teeny blonde, who looks like she might be in first grade, reveals in a cute British accent that her suitor is classmate Tommy. 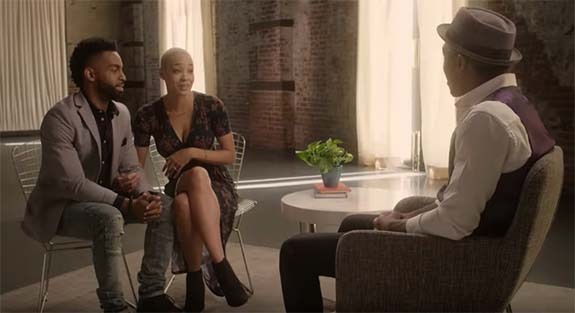 "So, Tommy's proposed to Millie and she keeps telling us she's got a ring in her bag," the dad continues. Millie's dad explains that he and his wife were expecting to see a candy ring. In the UK, kids like to exchange Haribo rings, which are ring-shaped gummy candies. The dad then asks Millie to get the ring that Tommy used for his proposal. A few seconds later, Millie hands it to her dad and we see that it's not a candy ring at all. It's, in fact, a very impressive three-stone engagement ring set in platinum or white gold. The dad shows the ring to the camera and reports that Tommy has stolen his mother's engagement ring. The woman out of view can't stop laughing. 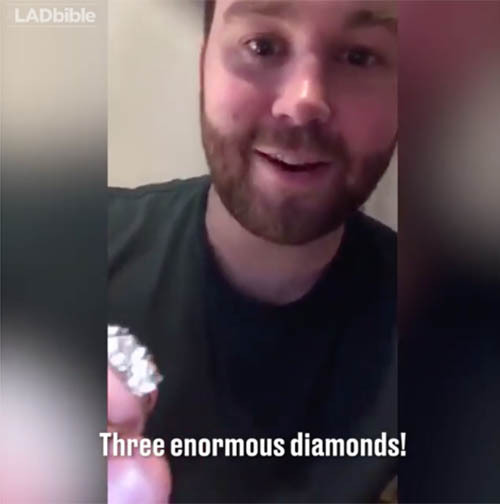 "Three enormous diamonds... and [he] proposed to Millie," says the dad. 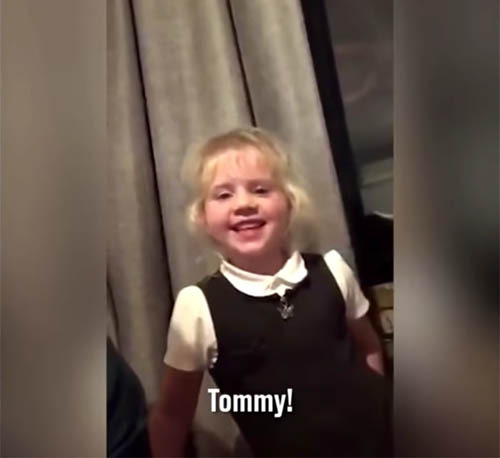 The video concludes with the dad inviting Tommy to introduce himself to the Facebook viewers. "Go on then, Tommy," says Millie's dad. "Bye, bye," says Tommy as he peeks into the frame with a quick wave and a wry smile. 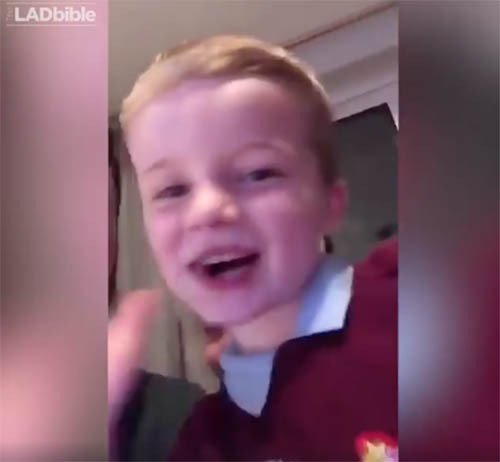 The video that was posted to TheLADbible Facebook page on Wednesday has already been viewed more than 24 million times. It has been shared 247,000 times on Facebook and the story has been picked up by high-profile websites, such as The Daily Mail and Mashable. Please check out the video at this link.